At SB Greenhouses, we’ve been helping home gardeners all over the country grow incredible crops through high-quality, affordable greenhouses for nearly half a century. Our commitment to customer satisfaction extends beyond just building incredible products, and we work with every customer to help them select the perfect greenhouse for their unique home situation and help them successfully grow beautiful plants for years to come. We strive to weave our commitment to our customers into every aspect of our business, and we hope that this letter from our founder, Robert West, shows you just how dedicated we are to our customers. At Santa Barbara Greenhouses we manufacture and sell only our own buildings. We are not a dealer or importer. When you buy a Santa Barbara Greenhouse it is truly “Made In The USA”, only then can you expect superior advice, service and availability. We started designing the original quality greenhouse over 44 years ago and have always concentrated on vertical side wall design. We see no reason for film coverings or slanted walls. In our greenhouses you will have full head room, no waste of valuable growing space. Compare our side wall height of a Full 6 Feet to others at 4 to 5 feet. Most of our greenhouses are sold by mail or by phone direct from us at the factory with 100% confidence because we specialize in the best personal service most folks can’t find anywhere these days. All materials will come to you pre-cut and pre-drilled for easy assembly. In addition to this is a fully illustrated, easy to follow instruction manual which comes with every Santa Barbara Greenhouse. We do our best to keep each one of our owners totally pleased after their purchase. Santa Barbara Greenhouse owners write to us all the time sharing their successes and ideas. We share with them in return, all of the proven gardening advice we can assemble from our own gardens & greenhouses.We are proud of our reputation for building one of the finest home greenhouses in the U.S. and we will do our best to deserve all the confidence serious gardeners have in us. As food prices climb, home greenhouse gardening will continue to make more sense to the home gardener. Starting your own plants from seed and cuttings: growing fresh flowers and vegetables year ’round in your own greenhouse will continue to be very satisfying. If you have any questions after reading through our descriptive literature, please don’t hesitate to call or write. We are here to help and serve you completely with immediate attention to your calls and correspondence. If you’re ready to build your own greenhouse and start growing beautiful, bountiful crops in your own backyard, we’re ready to help you get there. Each of our DIY greenhouse kits are made to fit your unique home situation, and we’ll work with you to help you select the perfect kit for your unique needs. Feel free to call us at 800.544.5276 to start discussing your own home situation and gardening goals, or if you’d like to find out more about our products at your own pace, we encourage you to request one of our greenhouse catalogs – completely free of charge. 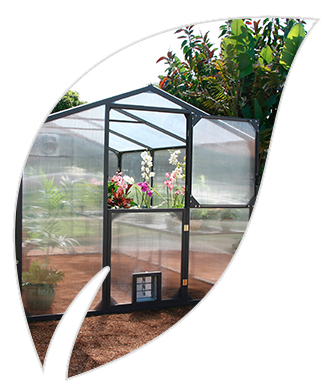 We believe everyone deserves to grow gorgeous, luscious plants in the comfort of their home, and we’d be thrilled to help you do the same with a quality greenhouse of your own. We hope to hear from you soon!